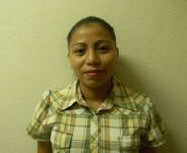 Angela is originally from Antigua Guatemala, Sacatepéquez. She was selected as a GOJoven Guatemala Fellow when she was 18 years old. Angela is a first semester student studying Legal and Social Sciences. This is the first time she has been selected for a training process in Sexual Health and Reproductive Health. She has participated in other workshops, but none provided as much breadth of knowledge as what she has received through GOJoven Guatemala. Angela has a strong desire to learn and to replicate what she has learned. 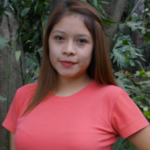 As such, she seeks to strengthen her knowledge and become a journalist and activist for the promotion and defense of the Sexual Rights and Reproductive Rights of Guatemalan adolescents and youth.